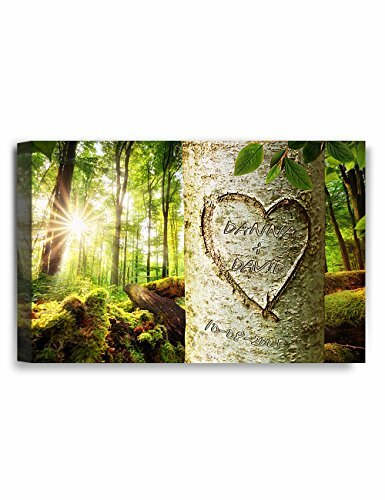 IPIC - ''Love Evergreen'', Personalized Artwork with Names and Date on, Perfect love gift for Anniversary,Wedding,Birthday and Holidays. 7#P (18x12'') by IPIC at HoldUp Art. MPN: FD0043C751812. Hurry! Limited time offer. Offer valid only while supplies last. IPIC Brand Quality: production from one of the world's leading wall decor manufacturersReal handcrafted canvas prints produced and hand-made in USA.